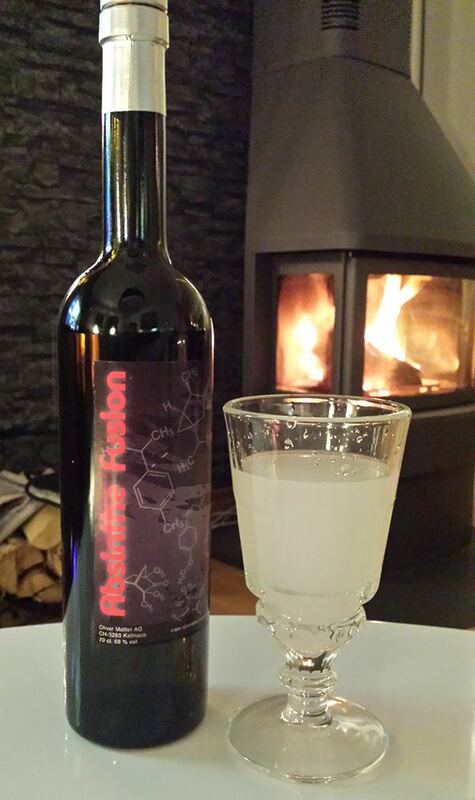 Here's a little special something - the Absinthe Fusion... It's distilled by Oliver Matter in Kallnach, Switzerland as the result of a collaboration and an experiment between three very diverse personalities and experts in their respective areas. Take one measure of physicist - Prof. Dr. Thomas A Vilgis, one measure of chef - Rolf Caviezel and one measure of microbiology professor - Dr. Helmut Jungwirth. Add to this a passion for details and the will to create something different. Then hand this mix to a talented distiller. Mix well and see what happens. That is the simple and quick version of what happened. What we all really want to know is if all this knowledge in fields well outside absinthe as a drink could come to something good. I'll let you know. 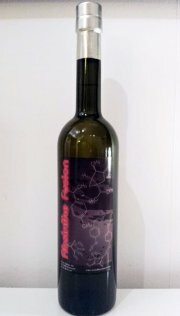 The Absinthe Fusion is a blanche absinthe and comes in a typical standard bottle. 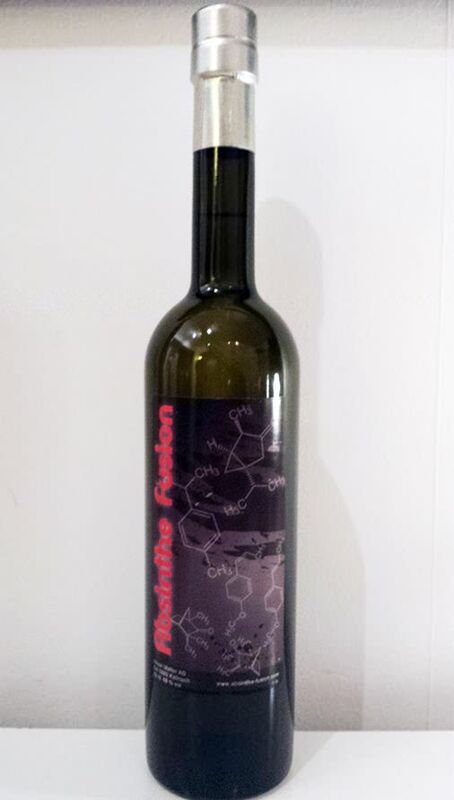 The label is quite simple with clear references to science. Not the fanciest label I've seen but definitely not the worst. Uncorking the bottle instantly lets a very distinct aroma out of the bottle. It's not wormwood. It's not anise or fennel. It's chocolate! Pouring it in the glass it's a crystal clear blanche and that chocolate scent is definitely present. It slowly settles and give way to the classic trinity of absinthe herbs and all together present a very interesting and inviting aroma. Along with the fresh minty and flowery character of typical absinthe this very soft and sort of creamy chocolate blends it all into a liquid birthday cake! Using a carafe to slowly add iced water it's a pleasure to watch the louch build steadily from the bottom thinning out that clear absinthe layer on top by every drop before it all results in a thick milky white perfectly louched glass of absinthe. The powerful chocolate is toned down a little bit once the water is added but it's still there and I have to say it doesn't bother me at all. On the contrary that is what makes this absinthe interesting. Much more fun than a plain ordinary Swiss Bleue. Tasting it is a strangely fun experience. Everything from a good blanche is there but the mouthfeel is a bit more velvety and very smooth. The chocolate is there in the taste as well but blends very nicely with the wormwood and anise. Possibly a bit of star anise that adds a slight numbing to the tongue but it never gets too powerful. 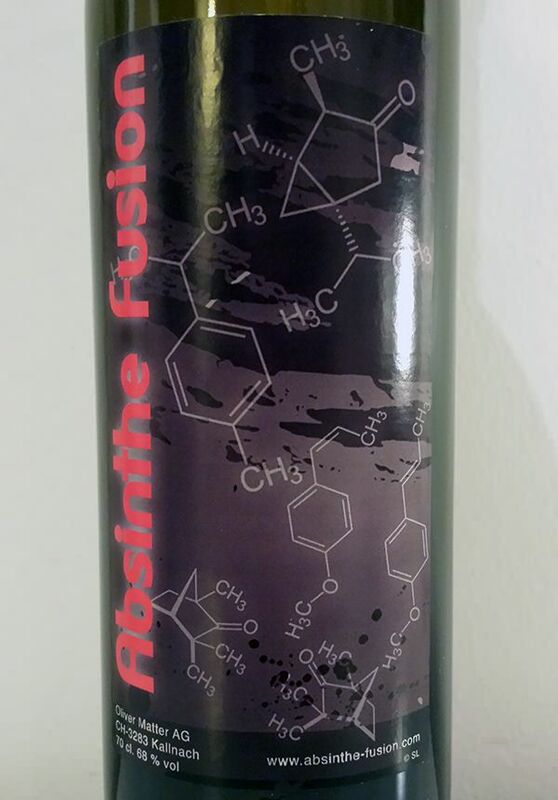 Again, it's the chocolate profile that makes this absinthe interesting. I wouldn't say this is an absinthe for the newcomer as I'm sure many would be confused by it but for those who already like absinthe and wish to find something truly different but still good, I'd recommend the Absinthe Fusion right away. I could easily see this being used in the kitchen to experiment both with warm dishes but of course definitely with various desserts. So, is there nothing bad about it? Well, I wouldn't say bad. The quality is excellent, the ingredients are of good quality and it's a unique product to say the least. It is however not an absinthe I find myself drinking several glasses following each other. One large glass is perfect and then I tend to move on to some other brand. Not because I don't like it but because the chocolate creamy profile of it is enough by then. I'm satisfied. In other words - I do recommend you get a bottle. I'm sure you'll find it interesting and special but do keep in mind though that it's certainly not "just another absinthe".